NHS England Chief Executive Simon Stevens has set out a new vision for the future of healthcare in England in The Five Year Forward View, which outlines the way in which NHS services need to change and improve. It represents a collaboration between six leading NHS groups including Monitor, Health Education England, the NHS Trust Development Authority, Public Health England, the Care Quality Commission and NHS England. 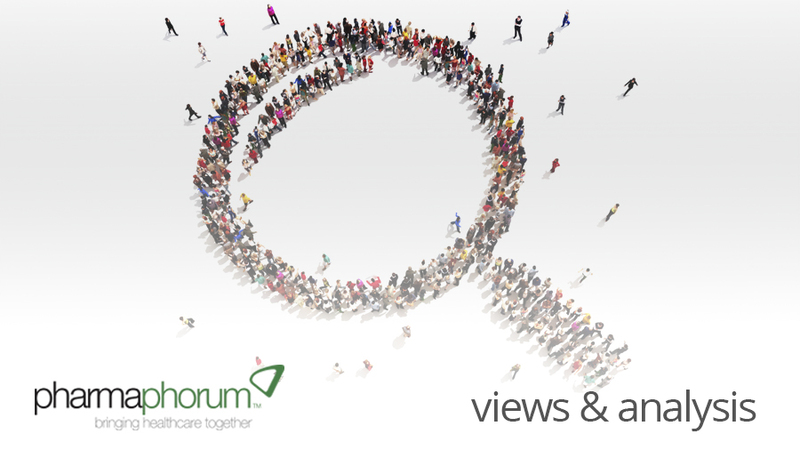 This is the first in a series of articles asking doctors to give their opinions on the Five Year Forward View and features the views of Dr James Quekett. Simon Stevens’ Five Year Forward View outlines new ways of working that would see more services transferred from hospitals to primary care: it sounds good in theory, but in reality we do not have enough GPs to meet current demands. The most accurate measure of the GP workforce is the whole time equivalent doctors per 100,000 population and this figure has fallen since 2009, while the take-up of training places is now at the lowest since 2007. Figures from a report on Primary Care in Europe by the London School of Economics and Political Science in 2009 showed that the UK had 67.3 GPs per 100,000 people, compared to 165.1 GPs per 100,000 in France and 99.1 per 100,000 in Germany. The latest Health Education England figures show a total of 2,688 doctors were recruited into GP training in 2014, leaving a national vacancy rate of around 12 per cent and suggesting that general practice is not being seen as an appealing career option by younger doctors. If the NHS system is going to be redesigned, policy makers must consider how they can encourage more doctors to become GPs and, crucially, how they also retain them. Areas of the country that are most in need of GP services often have fewer doctors and in some urban areas it’s particularly difficult to attract GPs because of the workload. From entering medical school it takes a minimum of 10 years to train a GP, so the recruitment and retention problem cannot be solved in a five-year plan; it requires a fundamental rethink, starting from the medical school selection process and on through the whole period of training. I, like many others, was actively discouraged by some of my hospital colleagues when stating my intention to become a GP. Indeed some seem to regard this career path as a failure. Unless we tackle this culture during training, we will continue to struggle with recruitment. It should be noted that primary care funding as a proportion of overall NHS spending has fallen, but this is not just about money. It’s about having increased numbers and making the work environment more appealing. At the moment, the job is unattractive, with a heavy workload and the stresses of dealing with seemingly constant criticism in the media. There has been a focus on people’s inability to get GP appointments. This is often touted as the cause of the crisis in A&E, yet the simple fact is that both services have seen large increases in demand. The traditional GP recruitment model has been evolving in recent years and women are now key to the workforce, accounting for over half of practising GPs and the majority of trainees. This may well reflect the greater ability to work part-time to balance work and family commitments. This should not be seen as a weakness but a strength in primary care, as women often bring skills that are well suited to the needs of their patients. This is something that should be celebrated but, unfortunately, I have a suspicion that the repercussions from the change in the GP workforce have been underestimated. It is important for those in positions of power to understand that they need to make the working environment more attractive and practical for women, particularly in terms of their working hours. Delivering extended GP hours and seven-day working sounds appealing, but is it actually practical? The Five Year Forward View acknowledges that the future health of millions of children, the sustainability of the NHS, and the economic prosperity of Britain all now depend on a radical upgrade in prevention and public health. I agree that we need to look at the macro picture and try to prevent people from needing NHS services in the first place. By tackling alcohol and drug problems more effectively, and by encouraging people to stop smoking, for example, we could save the NHS vast sums of money. Many health problems correlate with fundamental issues of the inequality in our society, such as poor education and poverty. We need to look at the main drivers of illness behaviour and help people to avoid, or manage, them. We also need to take health prevention messages beyond the NHS and deliver them in a diverse range of places, ranging from petrol stations and pubs to community centres, so we can influence people in their day-to-day lives. This requires a joined-up approach from organisations within, and outside, the NHS. There is also a need to look at where these services are delivered. Though GPs may have a role in health promotion, many of the patients at greatest need are not accessing their services. So maybe others, such as pharmacists, can provide at least part of the solution. Many roles have been delegated to GPs without a proper understanding of the pressures within the system or of whether such moves are appropriate. In conclusion, you cannot simply load existing GPs with more work. To transfer more services from secondary to primary care, policy makers must first understand the issues behind the GP recruitment and retention crisis and tackle them head-on. They also need to take a root-and-branch look at the way that services are delivered and develop a more joined-up and holistic approach to patient education and care. This, in turn, will help to ensure that GPs, hospitals and other NHS services are used in the most appropriate and effective way. Have your say: What are your own thoughts on the Five Year Forward View? How can pharma innovate in childhood and TYA cancer?